Preheat oven to 400. Beat butter and sugar together on medium speed until well blended. Stir in flour, egg, almond extract and vanilla extract. Place dough in cookie press. Press out cookies onto ungreased cookie sheet. 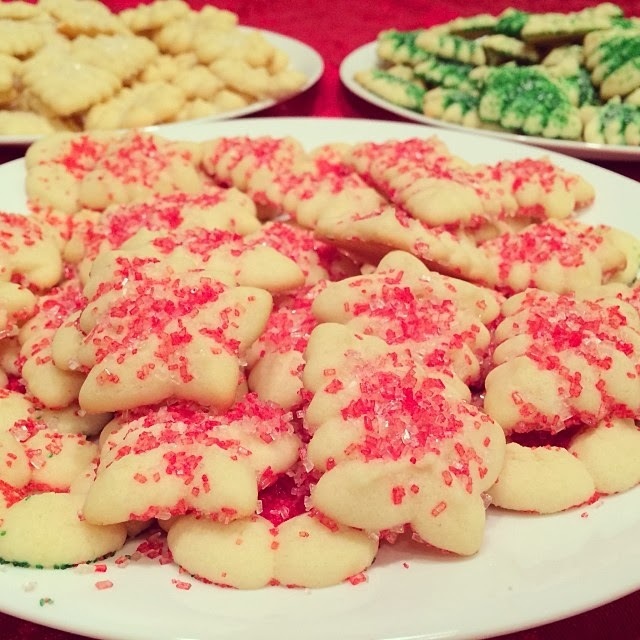 Decorate cookies with sprinkles! Bake 6 minutes or until set, but not brown. Immediately remove from cookie sheet to cool.